I'm writing to you because I need you help. No, this is not one of those ex-general's ex-wife offshore fund letters. I am not asking for any money. Just recently, I have learned a very interesting, very unusual piece of trivia. It has come to my attention that while growing up, most developers have had a rather unusual diet. 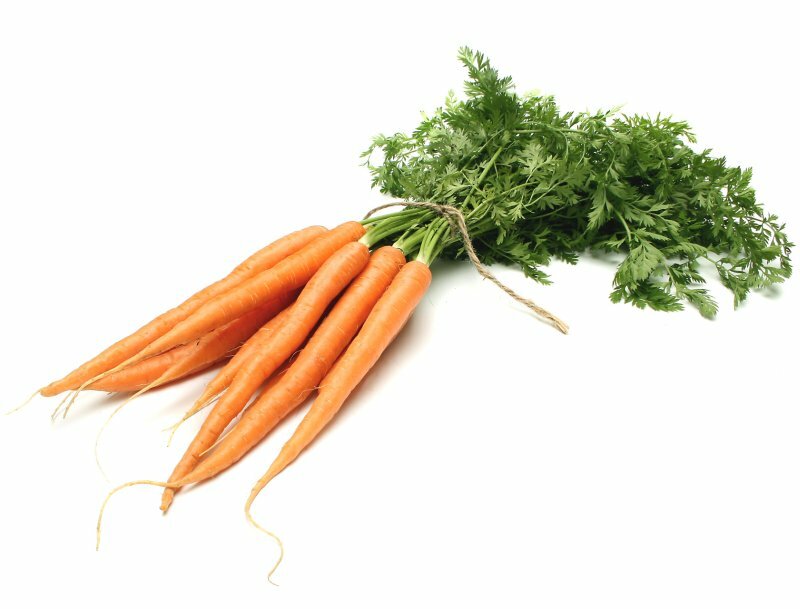 Unlike the rest of the population, they were quite vigorously fed carrots by their parents, which would explain excellent eyesight. Otherwise, it is difficult to explain what I am about to write next. Now, you may think for a moment that this letter is about carrots, but it is actually about font rendering in software, in general, and in Linux distributions and their respective desktop environments, in particular. Over the past several years, I have observed a curious trend of visual changes in the presentation layer of most operating systems. A gradiented, full-color theming that was popular in the early-to-mid 2000s has given way to a more abstract approach using a simpler color palette, fewer visual cues and details in drawn UI elements, and less distinction between fore and background elements. Along the way, the font rendering has changed, too. There is less clarity and contrast in displayed fonts, which may lead to a degraded ergonomic experience among those who do not have the privileges of the Vitamin-A-rich diet of the developers. Note: Image courtesy Freeimages.com/Jean Scheijen. I am aware that using all-black fonts may create a high-contrast feel, which in turn feels retro, i.e. it hearkens back to the early 2000s era, or even earlier, when UI elements, due to technical limitations in the graphics stack, were created to be as lightweight, and consequently, as simple as possible. In those days, fonts were dark, UI elements were light, and the contrast was sharp. This sharpness does not seem to sit well with the more softened, more rounded approach that has become the dominant driving force of UI theming in the past several years. I hear these new visual themes are known as "flat" themes, which explains the lack of visual depth and cues that were prevalent a decade ago. I am also led to believe that the abstractization and softening is a direct result of the proliferation of mobile technologies, but the application thereof on non-touch form factors leads to a disconnect between form and function, and the font rendering and display is one of the most prominent victims. The change in font color - from all black to various shades of gray, accompanied by the use of non-white background, plus a parallel complexity of font display settings - I hear terms anti-aliasing and sub-pixel hinting are often used - creates significant visual strain on the eye over any prolonged period of time. It also makes the use of Linux desktop environments less appealing. Rumors tell me that while most distributions have gone down the "flat" path, some do offer superior solutions. And here's my plea. I would like to ask you to reconsider your ergonomic considerations. At the moment, the use of non-black fonts with low contrast seems to be best suited to younger people and those with programming background. For the remainder of people who spend their time mostly consuming content in written or multimedia formats, this phenomenon alienates from the use and adoption of the Linux desktop. I would like to ask you to dedicate more time creating ergonomically superior solutions, with crisp, black fonts, high visual contrast, and high visual distinction between UI elements, be they active or inactive. I know this is not an easy task, but we have examples from our computing past to guide us back onto the right track. I am aware that there are legal restrictions on the use of certain fonts and fonts options. On the other hand, respectable sources in the community have shown me a certain distribution - I believe it has a Bantu word for its name - that adheres to good font clarity and crispness. I also hear that Unity (United?) is a desktop environment that does this quite well. I have spent some times reading articles online - there's this on Fedora, but curiously not the hat but an operating system, and this on Linux Mint - both of which highlight the change over the years and the associated difficulties. Then, I've also come across this other example that shows that Fedora (again, not the hat) can be relatively easily and quickly altered to use superior fonts. I have many more examples, but I do not wish to detract from the message, which is already running somewhat long. I believe there should be a single golden standard on font rendering - there can be differences in types, sizes and ultimately some relevant artistic choices - that dictates certain viewability guidelines to help the wider distroworld (is that the right term) achieve a commonality of good experience for its users. Primarily, there should be more focus and usability studies into ergonomic issues around font rendering, as well as the use of high-contrast black fonts with optimal anti-aliasing settings. The word optimal is a difficult choice, but I am confident good solutions can be found, as we had them in the past, and yet, they somehow disappeared. I would like to conclude this letter on a happy note, confident there will be positive uptake.